We invoke the Google home device using "OK, Google" or "Hey Google" every time we need to use it, and google home responds to our question and goes off. Its not ready for a conversation. 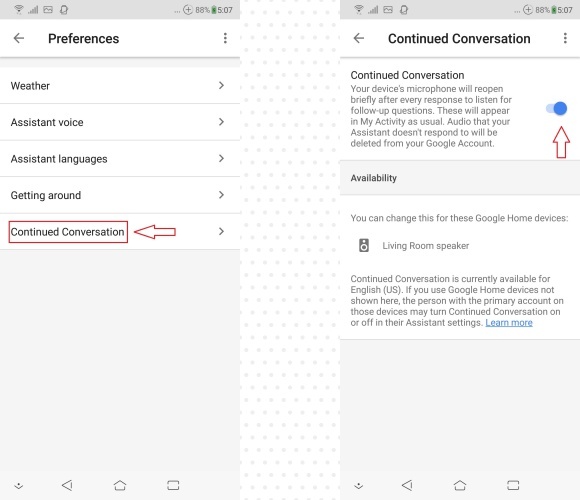 Luckily, in Google IO 2018 they announced they are enabling the conversation feature in google home. Which means we can build a regular conversation. Google home remembers the context of the previous question and responds accordingly. The LED light will be on during this time to indicate that the AI is still listening. That means being able to ask follow-up questions without using the hot word every single step of the way. Google's example was asking "Hey Google, what's the weather today?" followed by immediately asking, "and what about tomorrow?" and then a request to add a raincoat to a shopping list and a reminder to bring an umbrella tomorrow. When you're done, you can have it stop listening by telling it "thank you," or "stop." Open the "Home" app for iOS or Android. 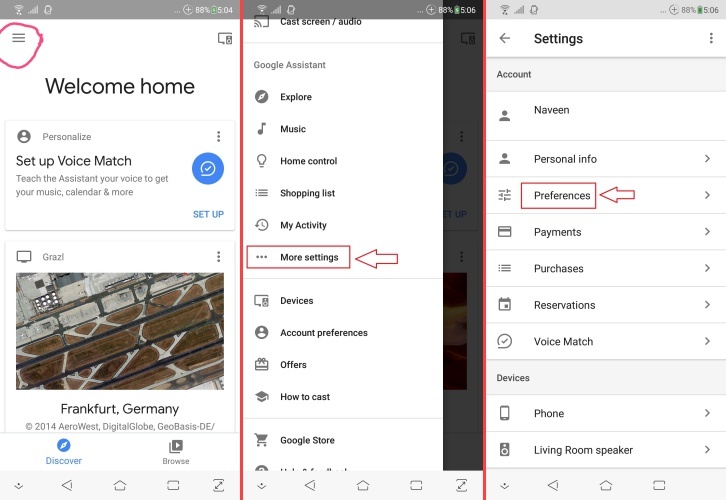 Once the menu slides, Click on "More settings"
Then click on "Preferences" under "Account"